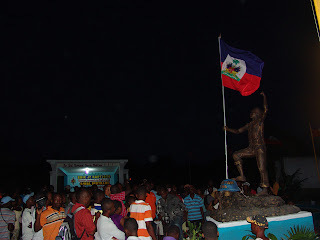 "Some pictures of Resistance Square in Port-Salut. A project of the Eric Jean-Baptiste foundation. 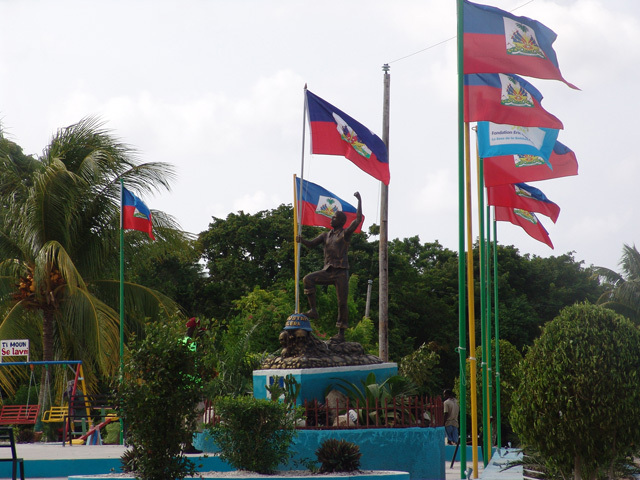 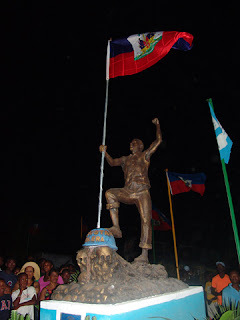 The statue depicts a Haitian man looking up to the sun while holding a Haitian flag in his right hand and stepping on a UN blue helmet."